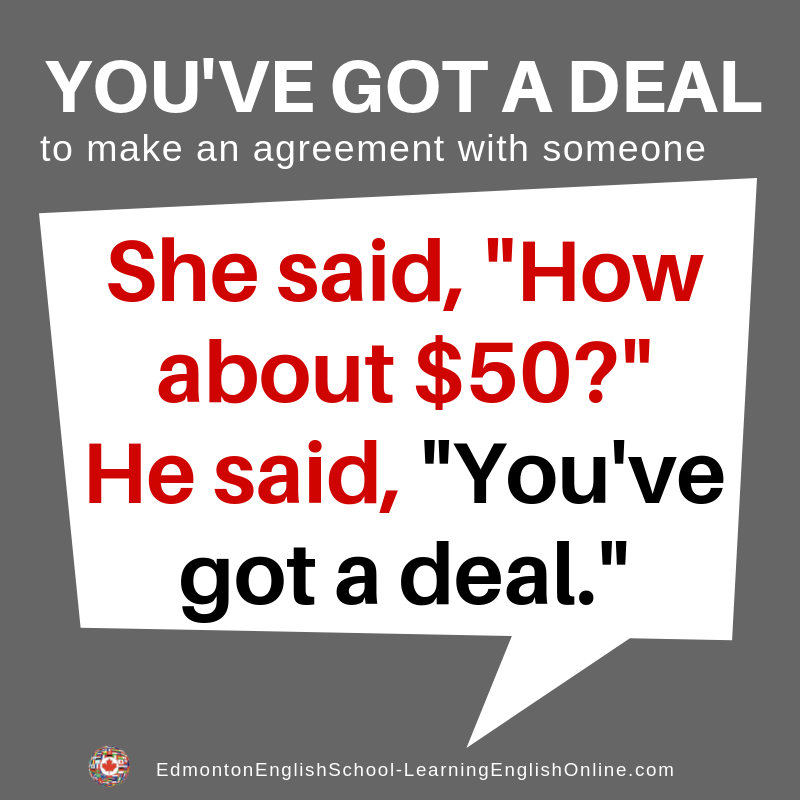 If someone tells you, “You’ve got a deal,” it means that they agree with the exchange that you proposed. They will do what you are asking them to do, and you agree to do what you said you would do. The handshake is a physical sign that you have both agreed to the discussed arrangement. To shake on it is an informal confirmation of an agreement. It is viewed as an informal contract of trust.